Discussion with Brian Bird, D.C.L. candidate at McGill’s Faculty of Law and author of “Trinity Western and the erosion of religious freedom”: why did the case of Trinity Western University’s proposed law school occasion a ‘clash of the titans’ in the form of two powerhouse appellate courts, Ontario and B.C., disagreeing with each other substantively? How can courts balance claims to religious liberty with demands for equality under the Charter? What should we make of the suggestion that allowing Trinity a law school would reduce the overall number of spots for gay law students in Canada? We engage in rampant speculation about the SCC’s future decision and consider broader theoretical implications of religious liberty in a pluralistic society. 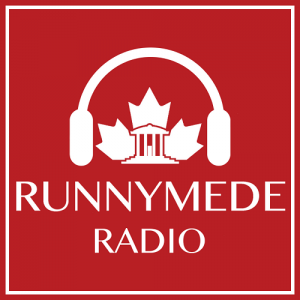 Runnymede now has an Amazon affiliate link! Simply follow runnymedesociety.ca/amazon, do your online shopping as you normally would, and a small percentage will support the Runnymede Society.